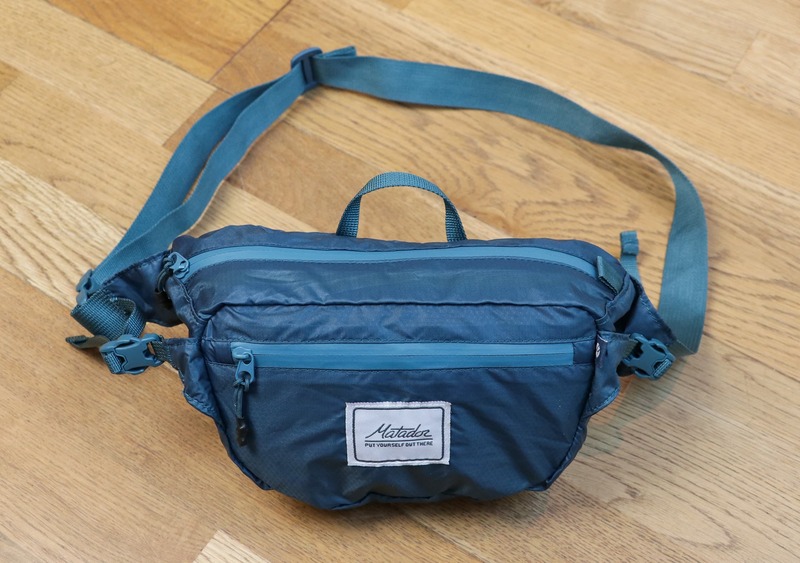 Back in fashion with a bang, the ultra-lightweight, and packable Matador Hip Pack is a super handy accessory that will vastly improve your travels on the road. The Matador Hip Pack is an ultra-lightweight and packable hip pack, fanny pack, bum bag, waist pack—whatever you want to call it. As one of the most prominent fashion statements of the 90’s, we didn’t think we’d be reviewing a hip pack twenty years later, but apparently they’re back with a bang. It’s not only trending because of their impact on the fashion world, but people seem to be realizing that they’re a super handy accessory that can vastly improve your life on and off the road. 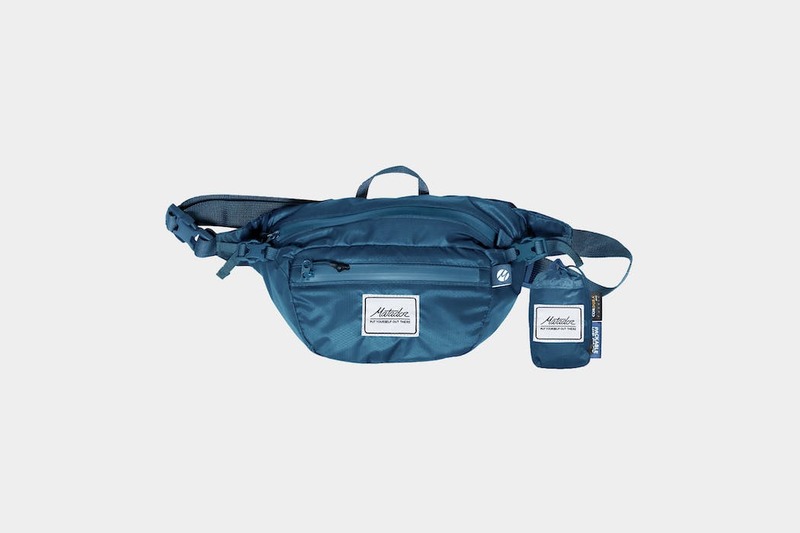 This particular fanny pack can be worn around your waist or shoulder and compresses so small when not in use that you wouldn’t even know it’s in your bag. After seeing use in both the UK and Spain over the last two months, does this product live up to our high expectations given the previous Matador gear we’ve tested? Or is the Hip Pack just another passing fad? Let’s find out. Featuring a slick design, we think the Matador Hip Pack looks great. 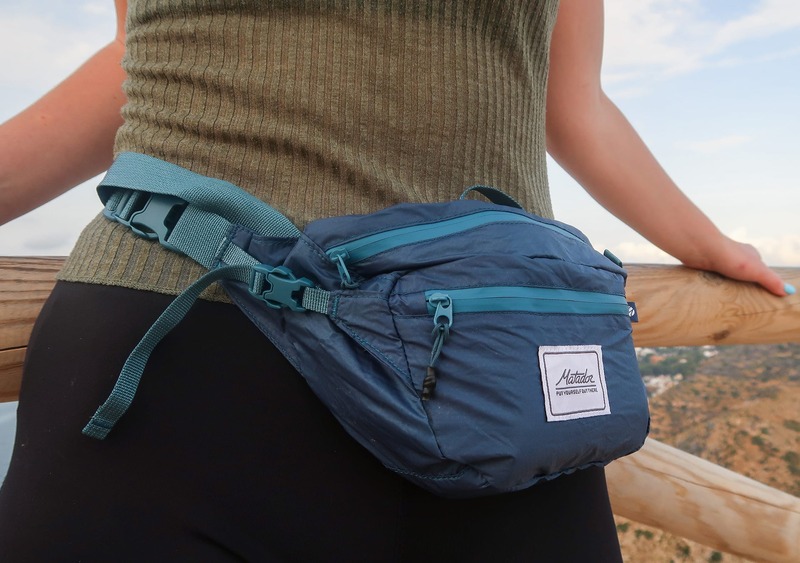 We decided to ask our Instagram audience to get their take on it, and out of 145 people, 72% said they like the aesthetic—which is quite the approval rating, and confirms that fanny packs are most definitely “in.” Matador products do rock a slightly more outdoorsy vibe than most, but we think the clean and overall minimalistic look ensures this thing will work in a multitude of different environments, which is a nice plus for travel. 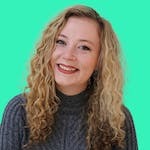 And when it comes to branding, there is a small logo on the front—making it instantly recognizable as a Matador product to anyone familiar with the brand. This pack is available in two unisex colors—gray and indigo. We’ve been testing the indigo version, but we like the gray all the same. One thing we must note—and we’re getting pretty finicky here—is that the indigo color isn’t very “indigo,” it’s more teal, but we like it all the same. Made from 30D siliconized CORDURA® ripstop nylon, the Hip Pack is super lightweight while remaining durable and ready for whatever you want to throw at it—and the hexagonal ripstop nylon means if any tears do occur, they shouldn’t get any bigger. 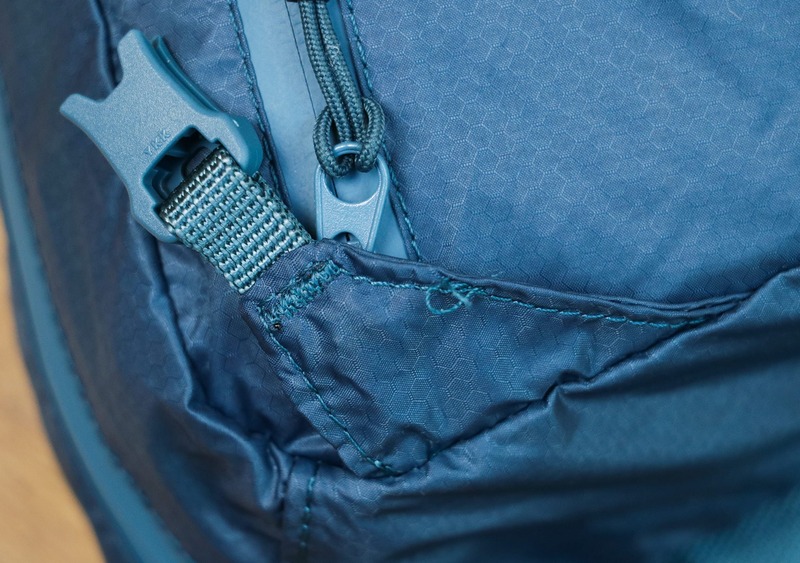 The siliconized material is also waterproof, and when combined with the weather resistant sealed SBS zippers—a reputable name in the zipper world—the Hip Pack is incredibly weather-resistant. Although not entirely waterproof, if you plan on stashing your phone in this pack you can be assured it’s going to be safe. Rounding off the materials, all the buckles used on the Hip Pack are YKK. They feel sturdy and are seamless to use—they’re just solid buckles. Not much more to say about that! First up, we have to talk about how crazy small the Hip Pack is when compressed—4” x 2” x 2” to be exact. 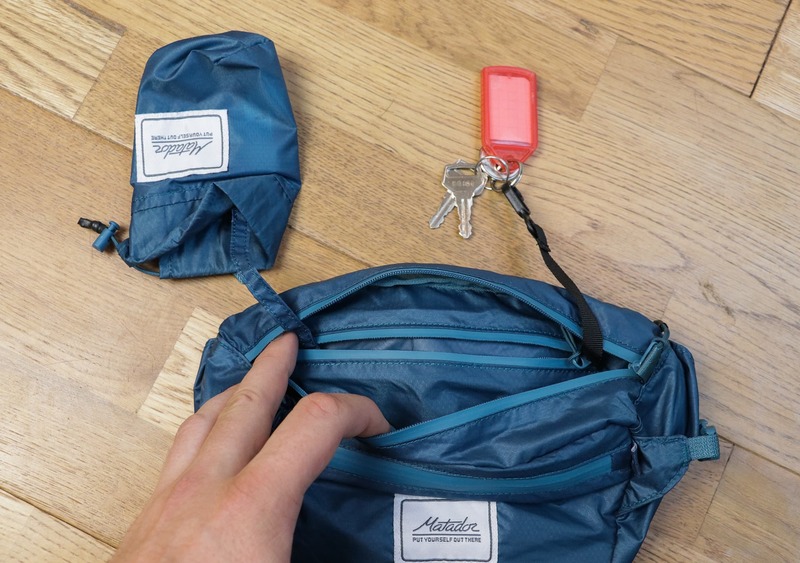 The compression sack is attached to the pack, meaning you’ll never lose it, and it can be stuffed inside the interior zippered compartment when not in use. You can pull the pack out in a matter of seconds, and while putting it back does take a tad longer, you’ll master it pretty quickly. 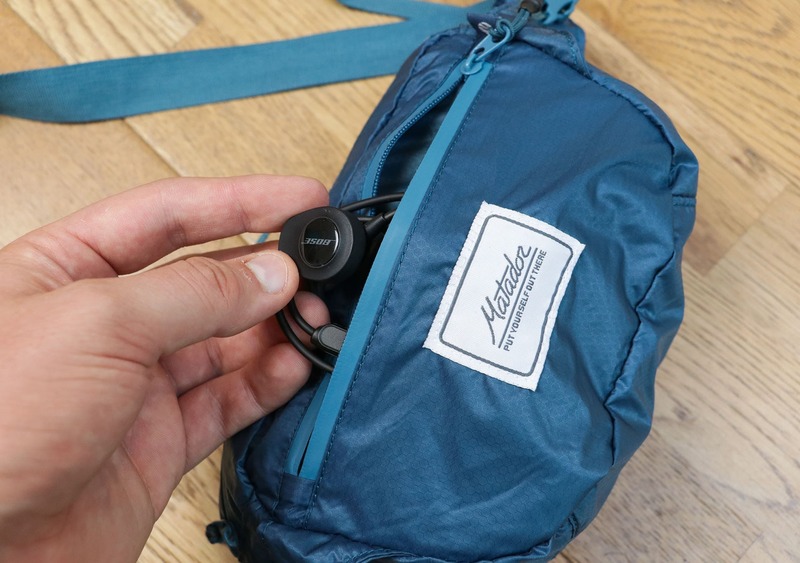 There is a looped tab on the compression sack, so you can also attach this thing to the outside of your main bag with a carabiner. The hip belt strap is very basic, but it does the job well. There’s no padding, but it really doesn’t need any—due to the size of this pack, whatever you’ve got inside isn’t going to contribute much weight. In testing, even when we’ve filled this thing to the brim, we found the carry was comfortable and secure. The strap is adjustable too and will fit anyone up to a 40” waist. On either side of the Hip Pack, there are some compression straps. These are small and discreet and are used to compress the pack down when you’re wearing it. The straps help keep this thing as close to your body as possible—to improve carry—and we’re happy to report they don’t obstruct any openings. There is also a fabric loop on the top that can be used for hanging this thing up, or as a grab handle. We have yet to use this, but it’s nice to have and doesn’t get in the way at all. At the top of the Hip Pack, there’s a long zip that will grant you access to the main compartment. Inside, there’s ample space for stashing your items—like a phone, wallet, and passport—but there’s also a couple of cool things going on inside here. First up, there is a key clip that comes in surprisingly handy—a very thoughtful addition from Matador. Second, there is an internal zippered pocket that’s great for small items you want to keep separate from the main compartment. This internal pocket is also home to your compression sack, so that it won’t get in the way. We’ve really been digging how Matador designed this aspect, it works really well in practice and is a breeze to use. At the front of the Hip Pack, there’s a small external zippered pocket. 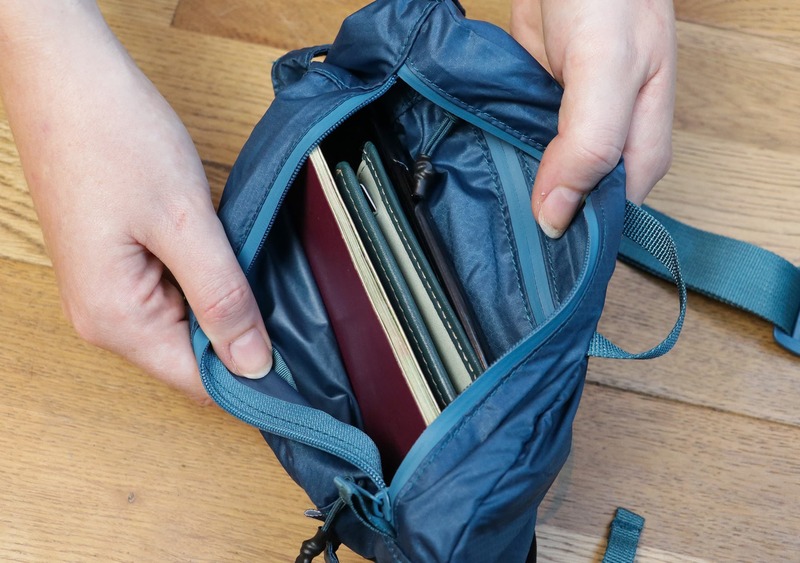 It’s not going to hold anything too big, but it’s a handy pocket for things you may need quick access to—like train tickets and earphones. We’ve been testing the Matador Hip Pack for a little over two months now, and during that time it has seen use in the mountains of Spain and the south-east of England. 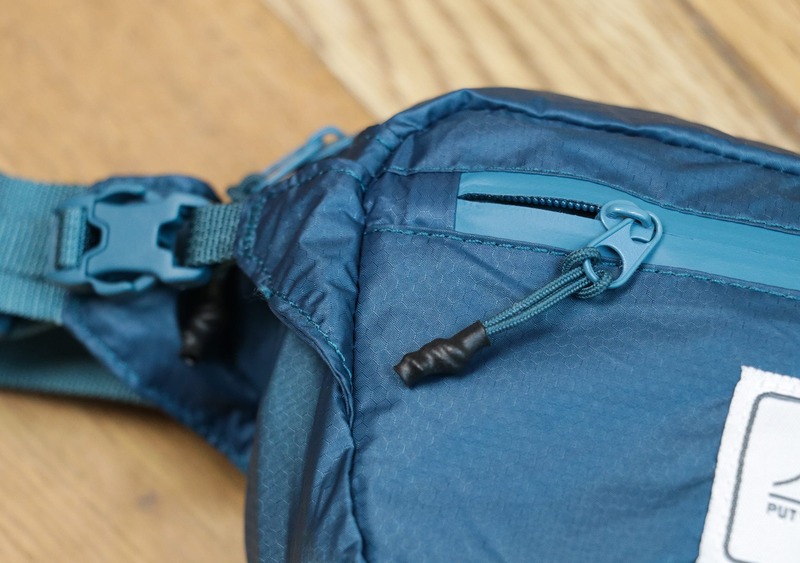 For an ultra-lightweight and packable product, we found the Hip Pack to be remarkably durable, and expect this thing to last for quite some time. As we’ve experienced with other Matador products, the craftsmanship on the Hip Pack is a tad sloppy in places. We’ve found a few loose threads, but nothing that affects the overall integrity. 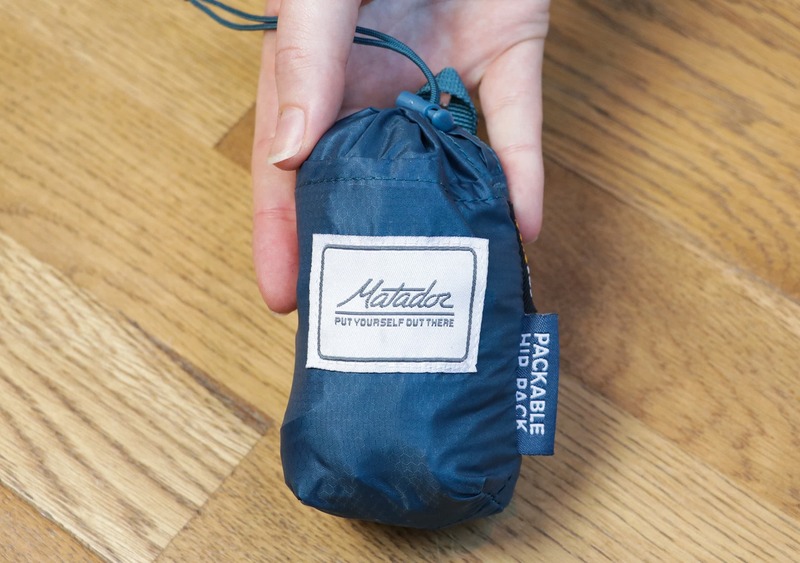 In testing, we’ve found the Matador Hip Pack to be a great addition to our one bag travel experience. When flying, being able to cram all of your essentials into one easily accessible pack around your waist is an absolute dream. 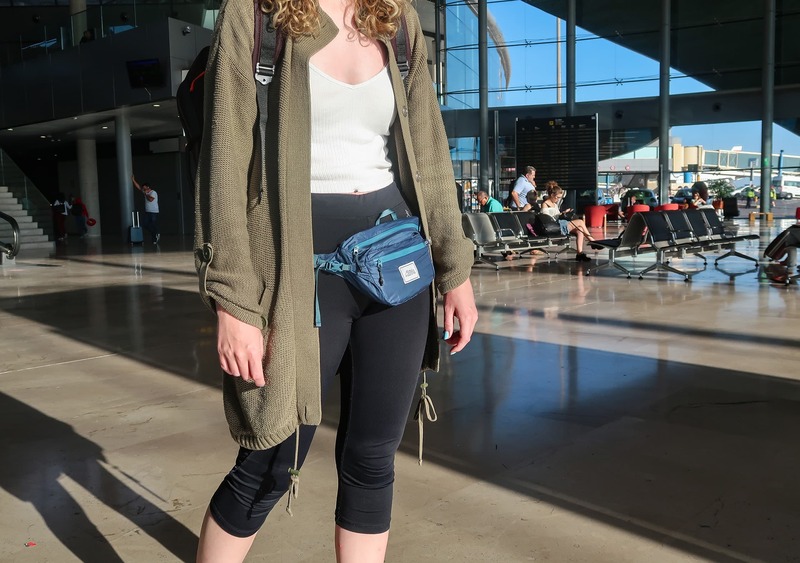 Before you fly, it might be worth checking in with your airline to see if the Hip Pack will count as an item in addition to your carry-on and/or personal item. We didn’t have any problems during our testing, but all airlines are different! And if necessary, you can always cram this thing quickly into the top of your pack when you’re passing through the gate. And this thing compresses so small that when it’s not in use, it hardly takes up any room. While the Hip Pack is unisex, we feel this is a product that may be more useful for women. As a man, unless you’re wearing a speedo, you’re likely going to have plenty of pockets to stash your essentials. 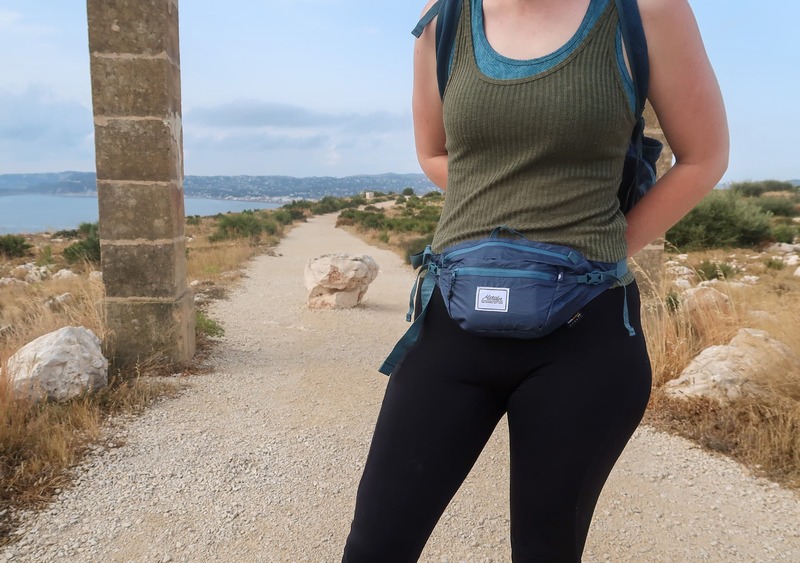 Unfortunately, women’s clothes tend to forego pockets, so the Hip Pack becomes an awesome asset for you to house all of your items when you’re out and about. That being said, we do firmly believe that anyone can benefit from utilizing a fanny pack, and will look good while doing it! This thing compresses into practically nothing! Great for flying, no signs of wear and tear yet. Poor craftsmanship is showing with some loose threads, but nothing major. Indigo color is more teal, but we like it all the same. The Matador Hip Pack is a stylish bit of kit that will make your life more comfortable on the road. 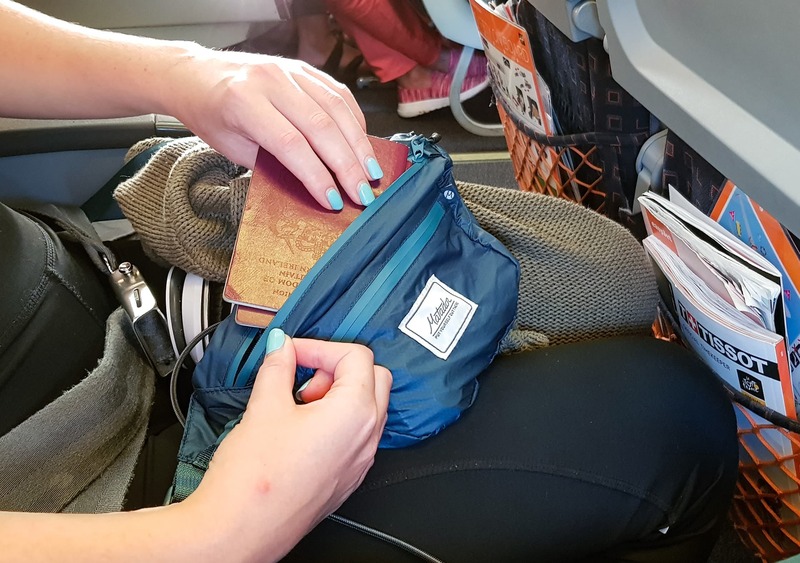 Whether you need somewhere to stash your essentials while flying, or a bit of extra weather resistance for your gear while you’re out and about, the Hip Pack is a great tool that’s up for the task. Better yet, when not in use, it hardly takes up any room or weight within your larger backpack—perfect for one bag travel.